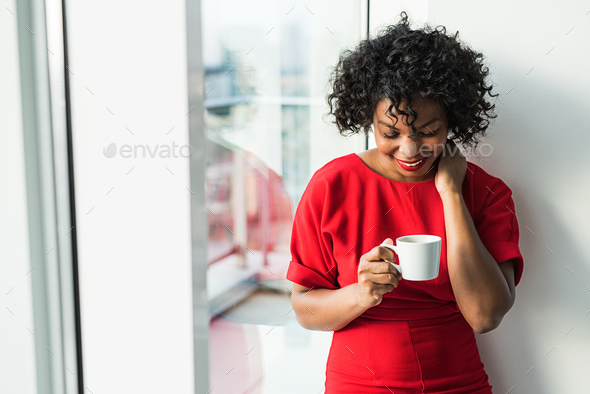 A close-up of a woman standing by the window holding coffee cup. A close-up of a woman standing by the window holding coffee cup, looking down. Copy space.